Chelsea returns in a rich shade of blue for the 14/15 season. The Blue’s home shirt features gradient pinstriping on the torso and transparent taping down the shoulders and sides. 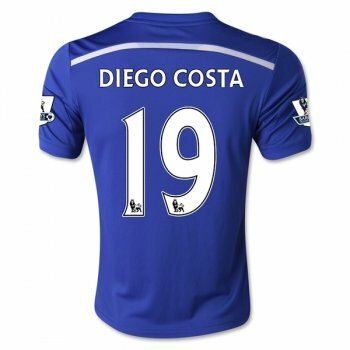 Applied adidas logo, Chelsea team crest and team kit sponsor keep this jersey light. 100% polyester. Es cómoda y combina con todo, es la camiseta más linda que tuvo la selección en años.